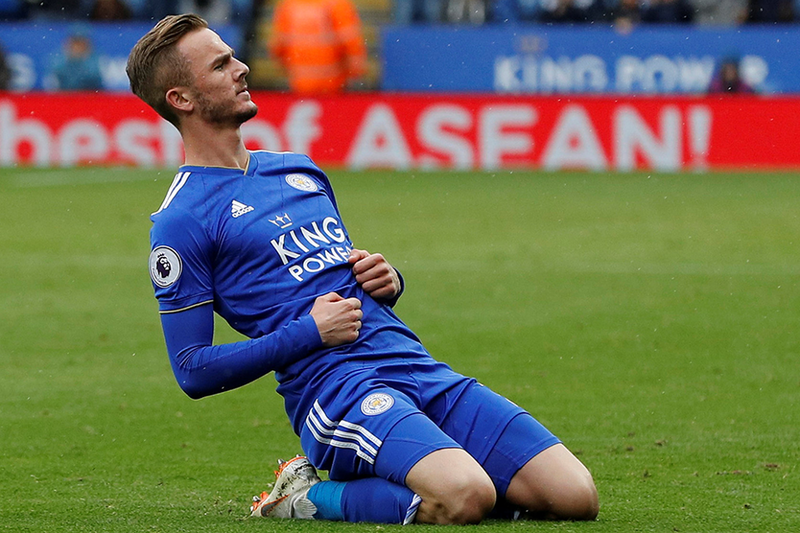 Alan Shearer says a call up the England team is beckoning for James Maddison following another excellent display at the weekend for Leicester City. Maddison followed up on last week's set-piece masterclass with a superb free-kick in the Foxes' 3-1 victory over Huddersfield Town on Saturday. And Shearer believes the 21-year-old's third goal of the season will have registered on England manager Gareth Southgate's radar. "It was another fine performance and another goal," said Shearer of a player he has selected in the No 10 role in his Team of the Week. "If he keeps on going like this it's only a matter of time before he gets a full England cap." Were it not for the Spaniard's brilliance between the posts, Wolves would have taken a deserved three points at Old Trafford. Experience counts and the Argentinian right-back showed it all against Chelsea. The Frenchman was impressive and helped keep Eden Hazard and Co quiet for a first clean sheet of the season. The centre-back was solid. He collected a clean sheet and scored his first goal at Anfield. This has been a great month for the 21-year-old. He made his England debut and was impressive again here. The Portuguese produced a magnificent performance and goal. He also showed the energy and desire that his opponents lacked. A performance full of maturity from the teenager. He was organising with an authority that belies his 19 years. He was just magnificent, crowning a wonderful performance with an assist and a goal. It was another fine performance and another goal. If he keeps on going like this it's only a matter of time before he gets a full England cap. His was a superb performance which had everything. The Frenchman scored a stunning goal to send Arsenal on their way to three points. Nuno has now taken points off Man City and Man Utd and more than matched them in both encounters.